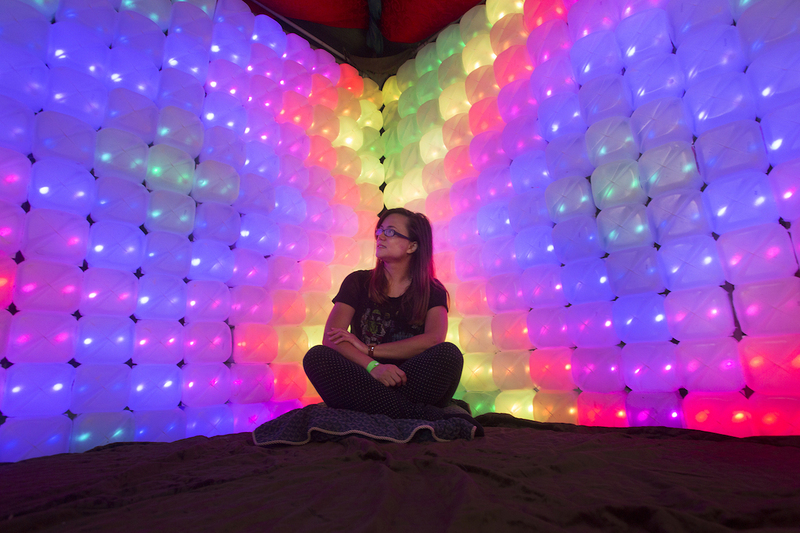 Pittsburgh will put its indelible spin on inventive genius when Maker Faire Pittsburgh (MFP) materializes on the North Side this October. This is the second full-scale Maker Faire for the city, the largest and most comprehensive display of maker ingenuity in the Northeast between Detroit and New York City. More than 200 makers of all ages will come together for a weekend circus of creativity, science and performing arts on the commons of Nova Place. Dubbed the greatest show and tell on Earth, the faire promises to be a showcase for tinkerers, entrepreneurs, workshops and performance art, says Kayce Dewey, director of the 2016 MFP. You’ll meet all kinds at Maker Faire. Photo by Larry Rippel. This year’s event is expected to be bigger than ever, drawing more than 10,000 visitors. On Friday, Remake Learning will sponsor a region-wide Education Day, welcoming 1,500 students and educators from 30 school districts who will get a sneak preview of the faire grounds before they open to the general public. “Kids are no longer passive recipients of information,” says Sunanna Chand, learning innovation strategist for the Remake Learning Council. 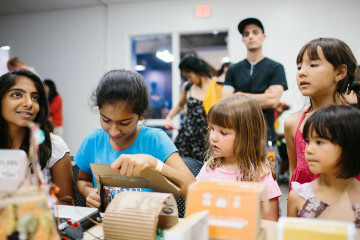 “Pittsburgh has more than 100 maker spaces across the region. It’s happening anywhere kids play, live and learn. Courtesy CCBC Imaginative Automotive Department: Power Racing Series Team. 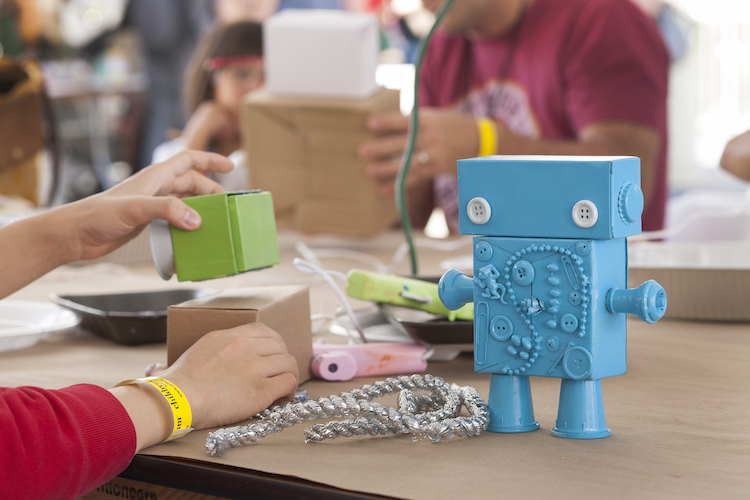 Maker Faires across the country tend to reflect the scientific and artistic ingenuity of their respective region, so expect robots, digital gaming, art and performances, digital games, 3D printing, wind turbines and maybe a few drones. 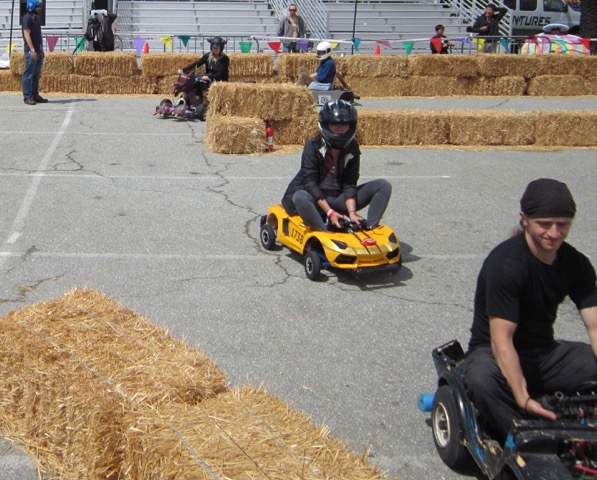 The Baltimore Burners Electric Car Racing will run their mini motorized cars around a racetrack along Children’s Way. Trash will be sorted by Pittsburgh-based CleanRobotics, a trash sorting bot that knows the difference between trash and recyclables. Also at hand: the rubber band Gatling gun, a hand-cranked contraption that fires off 144 rubber bands in about eight seconds. 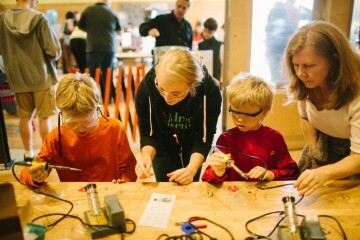 Maker Faire puts a smile on everyone’s face, says Chad Elish, co-producer of MFP and president of HackPittsburgh, a community-based workshop that provides wholesome opportunities for makers to share tools and knowledge. It’s all about making. Photo by Larry Rippel. In addition to displays and exhibits, the two-day extravaganza will feature special performances, speakers, demonstrations and DIY workshops featuring 3D printing, laser cutting, microcontrollers, silk screening and more. 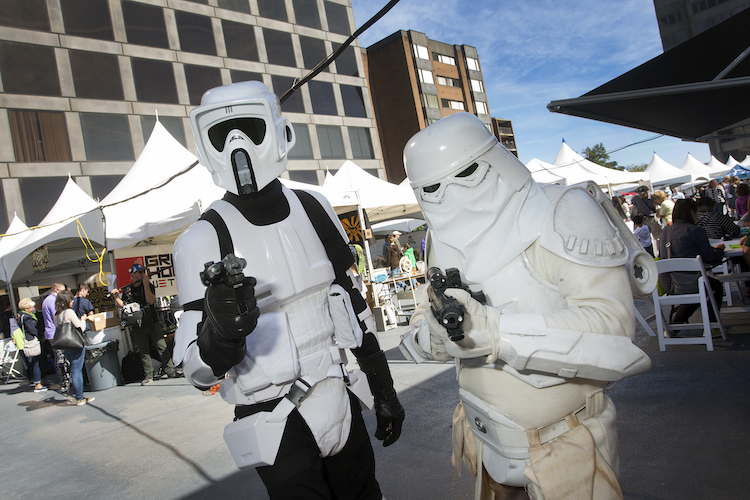 Maker Faire Pittsburgh will be held from Oct. 15-16. Tickets purchased in advance are $12 for adults, $8 for ages 2-18 and $5 for members of Children’s Museum of Pittsburgh. Sponsors of the Faire this year include Chevron, The Grable Foundation and MAKE. Those interested in volunteering can get involved here. This article is part of the Remake Learning initiative, a multimedia partnership between NEXTpittsburgh and WQED Multimedia,Pittsburgh Magazine and WESA. Check out their stories on Learning Innovation in Pittsburgh.